Beets are a colorful addition to a family meal with a mild, sweet flavor. At the same time, they are loaded with nutrients that support healthy liver function to help your body naturally detox metabolic toxins and fats. Check out this beautiful recipe good as a side dish or even make ahead and on the go for a healthy lunch with green salad. This is an excellent recipe to use as a side dish or main dish while in the later stages of cleansing. 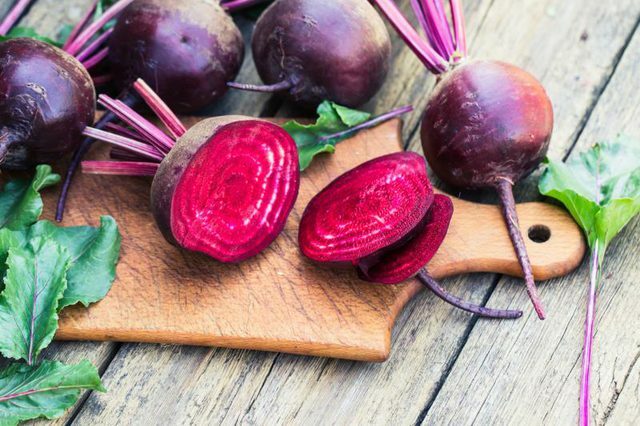 The beets are excellent for liver cleansing and detoxification as well as helping build red blood cells. This recipe is meant for fresh, raw, organic beets. You can use pickled if you prefer, but the fresh are healthier and, for many, offer a milder flavor.